As part of the international operation “Your Atlantic Yachting Shipyard” launched in October 2013, Atlantic Port La Rochelle has selected the winning team of promoters who will be responsible for the industrialisation of the mega yachts refit activity at the Shipbuilding and Repair Centre of the Port. After analysing the offers of candidates participating in the call for project “Your Yachting Atlantic Shipyard,” Atlantic Port La Rochelle declares Atlantic Refit Center (ARC) and Eiffel Industrie as the winners, which means the beginning of the pre-contractual phase for finalising the project. Long-term strategic vision of the mega yachts (over 70 m) refit activity with the goal of opening out an industrial sector. The selected project is structured in stages, the first of them, being planned to last 5 years and particularl y including : the 176 m long dry dock No. 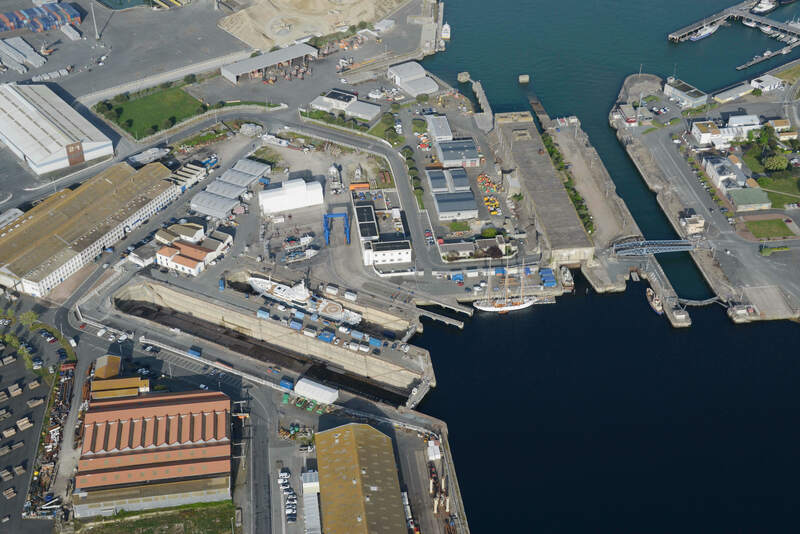 1 (the larger of the two dry docks within Atlantic Port La Rochelle) and an adjacent boatyard; the afloat repair space Camaret; offices… The Shipbuilding and Repair Centre will continue to host traditional ships in the dry dock No. 2 and the adjacent boatyard. solid experience and excellent references comprising mega yachts refit operations labelled ARC, such as Skat (72 m) or XK Enigma (71 m), which has won the World Superyacht Awards 2014 for best refit in a global competition organised by Boat International magazine.